Our thanks to BrontëBlog who let us publish this item, "Charlotte Brontë still has genius after 192 years", on our Blog. And a big thank-you to Judith Adams. Some time ago we listened to Judith Adam's radioplay "I Believe I Have Genius on BBC 4" and were very pleasantly surprised. 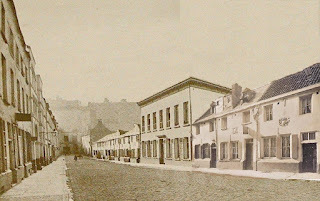 The Brussels period was key to Charlotte's development as a writer although it sometimes is glossed over as a mere continental whim. Judith Adams showed just how powerful and influential it actually is by literally placing us inside Charlotte's mind. As the radioplay cast advanced Charlotte is divided in two: Reason and Passion, the conventional and the unconventional sides of Charlotte respectively. Between them they recall the incidents, events, etc. that landed her (them?) 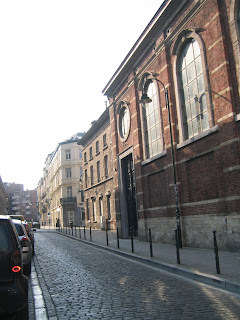 where she now is - now being a Catholic confessional in Brussels. Charlotte is extremely lonely and he love and anguish for M. Heger grows and grows. In a rather cruel twist of fate this experience seems to have been vital for Charlotte to emerge as the writer we all know. The radioplay cast were all brilliant but let offer a humble hat tip in particular to Rosie Cavaliero who played the Passionate Charlotte and to Julian Rhind-Tutt who played a brilliant, interesting M. Heger. You also adapted Villette in the past - what is it about the 'Brussels period' that attracts your attention so much? 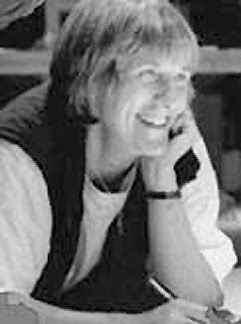 Villette was the job I was given by Deborah Paige, then artistic director of the Sheffield Crucible Theatre. It was my first professional job, second stage play, and first adaptation.Though not my idea, I was delighted she chose the unconventional text - it was also the text that fascinated me most (though I'd dearly love to dramatise Wuthering Heights in a way which altered the 'romance' and foregrounded the structure, which resembles the late plays of Shakespeare). 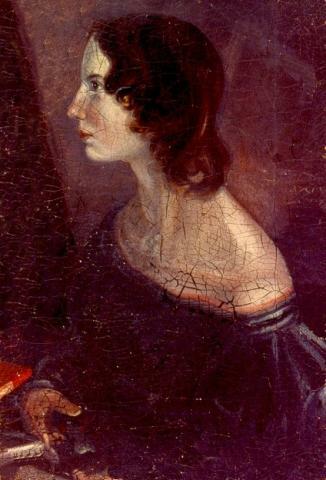 It had come to my attention when Education Officer and setting up the department at the Parsonage, how few people read Villette - even enthusiasts - and what a relatively unpopular book it has always been, dealing, as it does, with harsh and powerful feminist issues less congenial and more intense than those of Jane Eyre. The uncongenial (I'm told by others - I love her) and unreliable narrator Lucy Snowe, who tries to tell us she is invisible, while being, in fact, the god-creator of the novel, simply fascinates me. Only having funding for 6 actors - I made them all Lucy Snowe (both genders) rather than making them try to represent the population of Brussels. So schizophrenia began there, I suppose. I really wanted to call it "Who ARE you, Lucy Snowe?" but the publicity department wouldn't let me. My closeness to the Brussels period started here, and went on when asked to review Sue Lonoff's wonderful book translating the devoirs - which revealed so much that has been largely ignored in favour of their exaggerated moorland isolation mythology, and the tedious and prurient speculation about whether she had a pseudo-affair with Heger or not. The breath-taking guts both Brontes needed to make this journey at that period in history still awes me, and the development of their talents was spectacular, though just being heard was, in a sense, the main spur they needed to go home and do what they were born to do, I suspect. Hearing words spoken out loud one has written has a huge, terrifying and wonderful impact, if one can survive the shock of it. Hence the obsession in both my Brussels pieces with "play you must, play you shall". CB, EB and George Eliot (I've dramatised Middlemarch and Mill on the Floss) would have all been fabulous playwrights. But it would not have been permitted, of course. It hardly is now. Count the numbers. We are so close to that burial of women still - so often tipping back into it - knowing what is happening in the world to women - how can we be post-feminist? It's dismal and dangerous and gutless to behave as though the job of feminism is done. We have simply been assimilated into the ever-prevailing culture (the 'lucky' western ones that is..). When did you come up with the idea for this radioplay? About 9 years ago. It was turned down then. I had a chance to pitch it again through Jonquil Panting, BBC Producer, only this year. I'm pleased there was a delay - I wouldn't have been able to do it justice before, and she was the perfect dramaturg and director. I did have to re-visit all the research I had had at my fingertips as Education Officer at the time: quite an epic of reading. It was fascinating to read the same section of their lives in all the biographies, swiftly, all together - to discover how much interpretative bias affects everyone, even those who pride themselves on being the most "factual". Did you choose to have Mary Taylor on the play because she was the driving force behind the Brussels period and because she was, of course, there as well or because Charlotte tended to be less conventional and more open with her than she was with Ellen Nussey? Yes to both your suggestions, plus she represents action/travel to me - and courage - the things most likely to call out Charlotte's best genius - and one is haunted by the letters CB would have sent her which we have lost. Ellen was her longing-to-be conventional and please-daddy side (CB1), Mary her wildness and feminism (CB2). Also, in terms of the play's structure, it was Mary observing CB was "ugly" on her arrival at Roe Head which splits CB in two, and Heger acknowledging the same, but with the added force of his teaching, which fuses them back together. I was always so fascinated by the fact that Mary tells us CB still had an Irish accent when she arrived at Roe Head: what volumes this speaks about their isolation from the village. Oddly, it was never my intention to have two CBs - it was never in the original proposal. It just happened - very early on - and was awkward until CB2 suddenly started speaking with an Irish accent. Then I remembered the Roe Head story. Sometimes one's fictions go their own way, and you have to let them. Scary, but that's when I really enjoy my job. That's when I know the piece has its own life. I might not get it quite right even so, but it's alive, not dead. I really like this piece. It needed more broadcast time, but I'm deeply proud of it, and the whole team who gave it shape and voice (Jonquil, the fabulous actors, and the technicians).I really like its overt feminism, and that I avoid the traditional places of Bronte legend (moors, Cowan Bridge, EB's misanthropy etc.) and go to other places and people - the sea and Chapelle, for example. Also - of course - I could largely escape the clutter of their past and futures - except that CB2 crosses all time zones when she wishes, as Genius. My favourite speech is her one about ugliness, and photos, and so many Emanuels in time to come wanting to stand up for her, so where are they when you need one? Yeh. Makes me smile. For there is huge prejudice still against female, especially feminist voices; especially female, feminist, heretical voices like Charlotte's. Unless the women concerned are dead. Burial is a big issue for women. Globally, things are not looking good for women's voices, and religion is one of their key threats. On the contrary, although the present of the play is Charlotte's second stay in Brussels - sans Emily - Emily never speaks at all in Charlotte's memory. Was this a conscious decision or just where the plot led? Factual clutter is the main factor again - this is a huge story. Time is desperately short in an Afternoon Theatre. We would have preferred an hour at least for this - much was cut. But I cut Emily from the start - there was no way to begin to do her justice - and, as with Madame Heger, I cut her to make this very much CB2's fictional/narrational trajectory. It is about one self - and the self tells its own story about itself, ruthlessly self-centred. As Genius would have to be, in the end, I imagine. This is not dramatised biography, it is a fiction - my fiction - about two parts of CB splitting then getting re-united through Heger's teaching. To have given voice to Emily, I would need twice the broadcast time and twice the research I had time for beforehand, and it still would not have worked. In fact, I did brush against something that gave me a powerful idea of how I might approach her time in Brussels - but this would be another play. Speaking of the family - Patrick is portrayed à la Gaskell. Not so. Just à la through his own words in this case. Is this because you believe him to be the authoritative figure she showed us? No. He seemed fairly ineffectual - powerless to control his children in my scene - at least, to me - which inadvertently gave them a vast amount of wonderful freedom. He was also a deeply unconventional man by virtue of his background (which CB2 points out) who tried unevenly to be a conventional patriarch without the will or family conditioning to pull it off. His values were unimaginative but not cruel, thank heaven for the Bronte sisters' heretical feminism. Branwell, his preferred child, and his own doubtless great virtues were not the subjects of this piece, and both men have anyway been covered exhaustively by Juliet Barker. Or because in such a short piece you didn't think there would be time to portray him in a way most people wouldn't recognise him? Time is always a factor. Sometimes it works with clarity, sometimes against it.There was certainly not much time to worry about Mr B's layers. 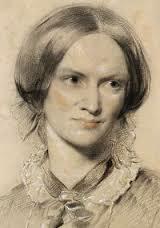 Finally, do you think you will be returning to the Brontës in the future? I do. I carry their astonishing inspiration with me always - I think we have not yet caught up with their genius. We are sometimes too busy with the minutiae of their "tragic lives", and too mesmerised by romanticism to interpret even the most favoured books truthfully. For a second year our group had organised a weekend of events which would coincide with the date of Charlotte Brontë's birthday (21 April). After nearly 6 months of planning, organising and promoting our weekend, this year started off with a Brontë evening in Waterstone’s, the English bookshop in Brussels, who kindly provided a specially set-up space and also drinks and nibbles. This was our test, to see how many would turn up to our event this time. We were actually quite surprised to see a great turn-out; some 60 people turned up, and some had to stand, as the chairs were all taken! Robert Barnard gladly accepted our invitation to come to this weekend and he introduced the evening, and with that the weekend, with his witty and erudite anecdotes. Also present were Derek Blyth, Maureen Peeck and Eric Ruijssenaars. Maureen enlightened us with some wonderful perceptions of two ‘devoirs’ by Emily; Derek told the audience a bit about his experience of the Heger letters (he gave a talk about this last October) and Eric would answer any questions in a question and answer session after the talks. At the beginning people were a little shy and hesitant to ask questions, yet people were mingling and conversations flowing once the official part was over. That is the moment people will start to meet others. Those attending came from near and far. We recognized members from the Czech Republic who also joined us last year. This time, however, they didn’t make the journey by bus! Old and new friendships were made when we walked to the Grand Place and decided to have a drink and talk in one of the old cafés. Our weekend had started of with a bang. Six speakers, all with their different expertise, talked on a variety of subjects related to the Brontës, 19thC Brussels, the Hegers and other subjects. It was a long, and at times warm and fatiguing day but nevertheless very interesting and at times very amusing. Simultaneous interpretation was provided, so people could follow the speech on headphones. Both English and French were spoken. In the same room there was an exhibition called Les Soeurs Brontë à Bruxelles which was organised by the library to coincide with the conference and our weekend. Panels and glass cases were full of interesting pictures, photos and books on Brussels in the period of the Brontës' stay, a lot relating to the Quartier Isabelle and the Pensionnat Heger. There was also plenty of material on the Brontë and Heger families, and a display of Brontë novels and biographies in French from Brussels libraries. In the evening a unique gastronomic occasion, a Victorian banquet, was on the programme, organised by ‘Le Centre de Gastronomie historique’. On Sunday morning a guided walk around Brontë places in Brussels was organised, one group led by Derek Blyth and one by Eric Ruijssenaars. There was a tremendous amount of interest by people, so they were fully booked. The weekend concluded with an informal meeting in A La Mort Subite, another characteristic old Brussels café, where we also had our afternoon tea last year. 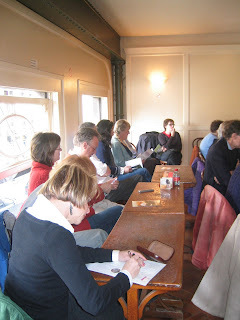 There were almost 30 people present, including many new members as well as those of us who were there from the start. The meeting was very productive with those present showing enthusiasm and coming up with inspiring ideas. There is a lot of creativity and talent we can draw from, so future events seem guaranteed. Again, our activities didn’t go unnoticed by the Belgian media; a radio interview with Eric on a Flemish radio station, and an article in ‘De Standaard’, written by Kristien Hemmerechts who visited our events, were among those. In a relatively short space of time, only two years, we've grown from about five people to around 60, and new people are joining all the time. The Brontë weekend attracted a very large number of new members. It seems the Brontës are here to stay in Brussels. A perfect match, made in heaven : Celtic Music and Emily Brontë! As a Brontë enthusiast, and in particular an Emily Brontë fan, I was delighted to learn about a project which is at present going on in the Netherlands. A Dutch band, called ANOIS (the Gaelic-Irish word for “now”), is at the moment working on a CD which is to combine Emily Brontë poems and Celtic music. We were contacted by Veronica Metz, who is the main vocalist of the band, and who composes and performs most of the songs. Anois was founded at the end of 1996 and is based around the vocals & compositions of lead singer Veronica Metz. The band has in the past been inspired by the writer J.R.R.Tolkien (“Lord of the Rings”) but also by other musicians such as Deanta, Enya, Loreena McKennit and Clannad. 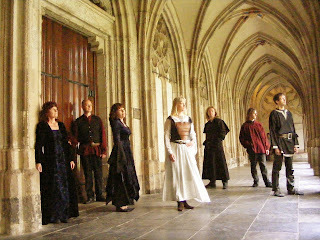 On their website, which is worthwhile visiting (www.anois.nl), they describe their music as being “poetic Celtic music”. For their present project on Emily Brontë Veronica and her band have given their personal musical interpretation to a number of Emily Brontë poems. The songs are beautifully performed by Veronica with her “angelic voice from heaven”, assisted by excellent musicians and backing vocals. This is the music I like to listen to and the texts being Emily’s words make it for me THE PERFECT MATCH! This Thursday, 17th April, BBC 4’s Afternoon Play aired a 45 min. radio dramatisation about Charlotte’s experience in Brussels. Only for the next 7 days will you be able to hear this again through their 'listen again' facility. Just click on “Thursday”. What really happened when Charlotte Brontë - as poor, obscure, plain and little as the heroines of her later novels - travelled to Brussels to study at a girls’ school as confessed by the author herself, and built around her own writings and letters.